The number of female directors on the boards of listed companies in Spain rose 3.9 percent during 2018 to reach a total of 268. This represents 20.3 percent of the total number of board members. The seventh annual report on the topic, prepared by IESE and Atrevia, highlights that these numbers still fall far short of the recommendation by Spain's National Securities Market Commission that women should occupy at least 30 percent of board seats by 2020. Moreover, 15 companies continue to have no women on the board (though none of these companies form part of the benchmark IBEX-35 index). Meanwhile, 35 others have only one female director. Finance is the industry that features the most women on boards (three per board, on average) while real estate, at the other end of the spectrum, has an average below two (1.7). Also noteworthy is that an increase in absolute numbers does not translate into increased executive responsibilities. Only 3.8 percent of women (1 percentage point lower than last year) were executive directors or CEOs. 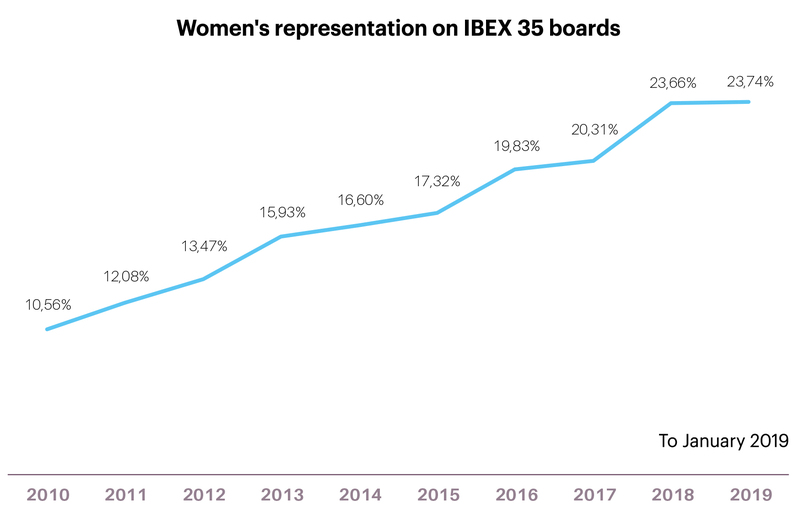 In general, the IBEX 35 boards had more female representation than the national average, with 23.7 percent, as opposed to 18.5 percent in the other 94 Spanish listed companies in the study. But even among Spain's top companies, progress was relatively slow. The IBEX 35's average lagged behind other European countries' averages: this year, Spain trailed by 3 percentage points, almost double the 1.6-point gap seen last year. 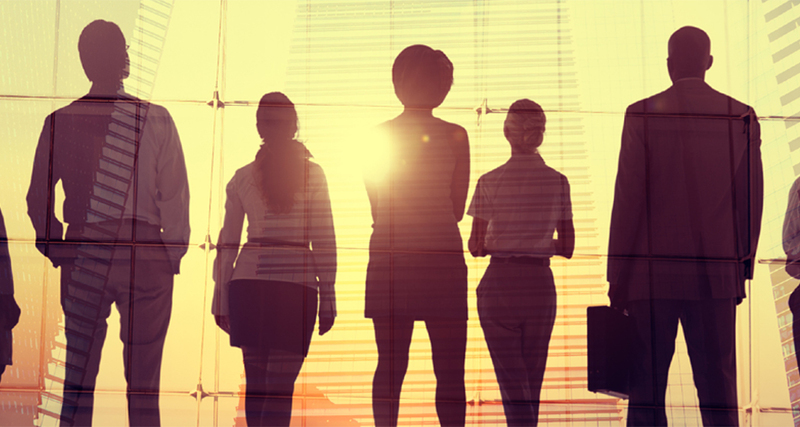 In short, women's representation on executive boards in Spain is growing. But not fast enough to make the 2020 goals and not catching up with women's representation elsewhere in Europe.